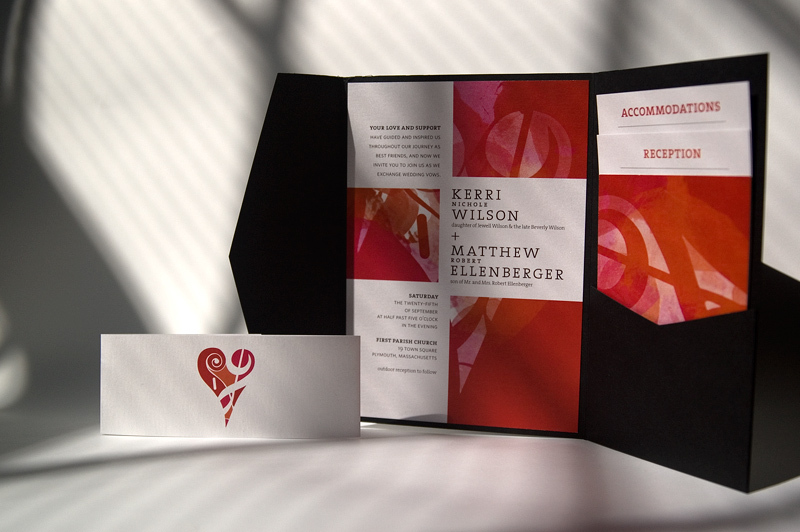 Matt - a professional bassist, and Kerri - a vocalist and theatre-buff, wanted a wedding invitation design that reflected their shared love of music without registering on the cliché-o-meter. Music notes, silhouettes of musicians, instruments… all “obvious” imagery was out of the question. While researching ideas and brainstorming, one design we saw a lot of was a bass clef combined with an upside-down treble clef to make a heart. While we liked the idea, we weren’t interested in using something that’s been used many times before. 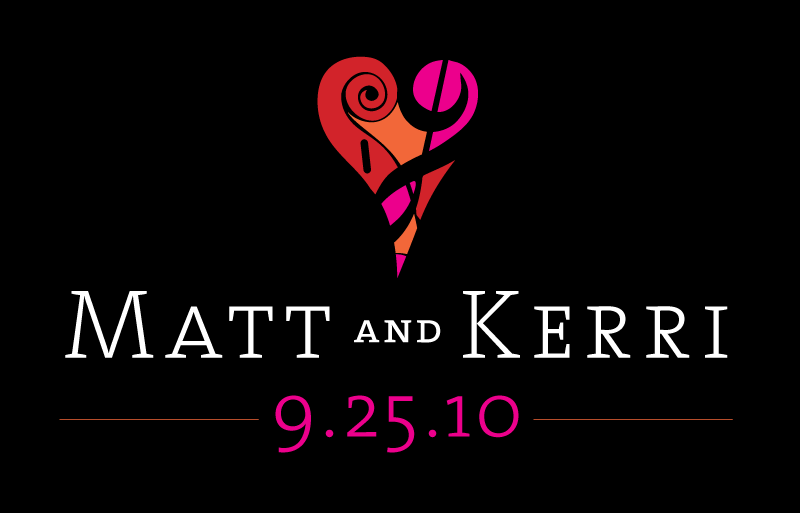 In considering ways to create a logo more personal to Matt and Kerri, we came upon the thought of incorporating the scroll of an upright bass instead of a bass clef, and the result was very fitting and quite beautiful. 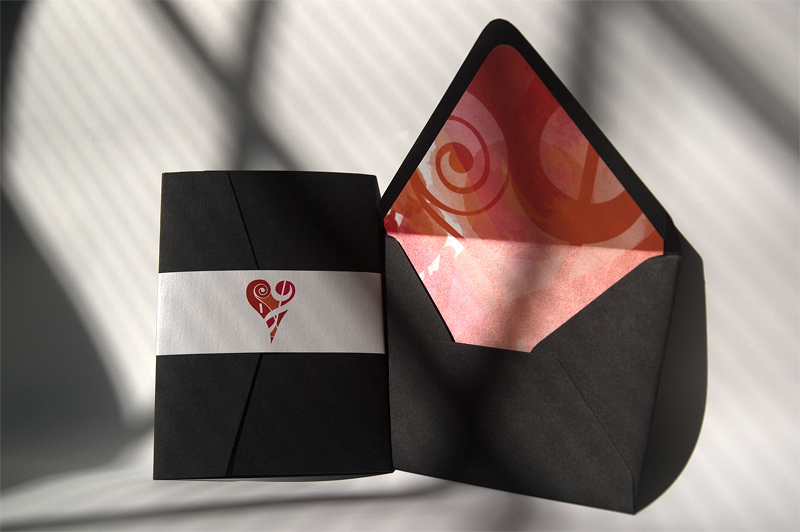 After a little finessing, the heart icon that served as the centerpiece for all their wedding stationery was born. In expanding upon the theme, it was important to us to somehow work in an homage to Kerri’s mother, Beverly, who recently passed away. Since Beverly was an artist, we decided to transform the couple’s emblem into a more abstract design that had the appearance of a watercolor painting. 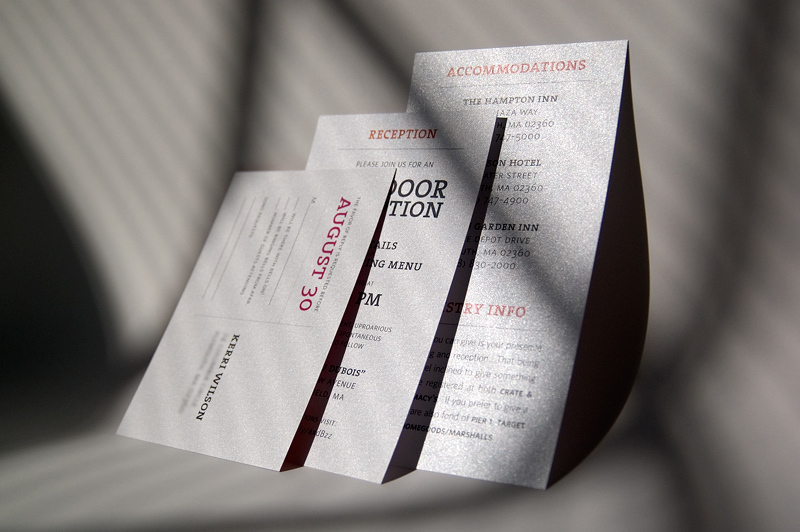 It gave the envelope liner, main invitation panel, and RSVP postcard a nice burst of color and texture. 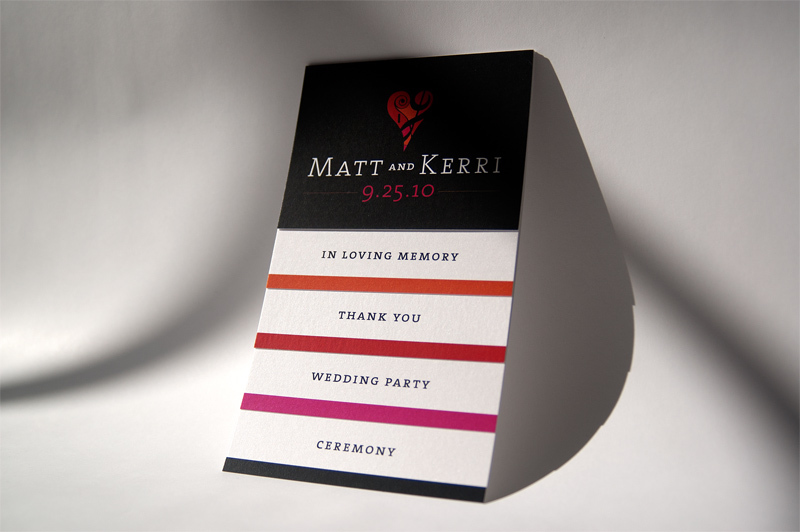 We were very pleased at how everything came together and excited to send Matt and Kerri off with a symbol that reflects a piece of them and their relationship.